Posted by Carolyn Burns Bass in multi-cultural fiction. Whether served hot or cold, revenge is a dish that makes compelling plots in novels. On Wednesday, we’ll discuss Revenge and the books that us keep readers rooting for the satisfaction of payback. 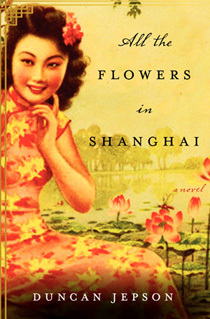 Joining us on Friday, February 3, is Duncan Jepson, author of All the Flowers of Shanghai. Within this saga of family pride, female empowerment, and sweeping political change, you’ll meet Feng, a meek Chinese girl who transforms into a bitter woman during her arranged marriage into a powerful Shanghai family. Ignorant and voiceless in the household ruled by the authoritarian father and his array of sniping, jealous wives, Feng strikes back against the family in ways unimaginable, which come back to haunt her in later years. Primarily set in the glory days of Shanghai just prior to World War II, the novel barely touches on the war or the Japanese occupation and atrocities, but it does take Feng out of the controlled, yet pampered Shanghai household and into the rough, revolutionary countryside where she experiences control of another kind. Monday Media discussion in #litchat: The Bookstore’s Last Stand, by @JulieBosman, published in in @NYTimes. Duncan Jepson is an award winning filmmaker who has directed and produced two documentary features and is currently finishing his third, A Devil’s Gift. He is a founder and managing editor of the Asia Literary Review and was previously editor of the award winning WestEast Magazine. He has written for the Daily Telegraph, International Herald Tribune and his articles on the Chinese literary scene have been published in the SCMP and Publishing Perspectives. 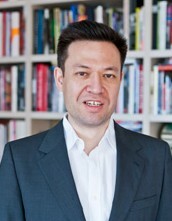 Jepson is Eurasian, Chinese/English, a corporate lawyer, and has travelled extensively in Asia since the 1980s, studying Mandarin in Beijing in 1987 and returning through the late eighties and early nineties to run a manufacturing business. In 2005, after visiting Kabul, Duncan established a charity, the Society for Children’s Education in Asia, to support the Aschiana Accelerated Girls Learning Centre. He was a director of the Child Welfare Scheme, a charity supporting street kids and young mothers in Nepal. Most recently he established Share, a charity focused on providing opportunities to reduce social inequality among Hong Kong youth. View the video book trailers of All the Flowers of Shanghai. Follow Duncan Jepson on Twitter: @DuncanJepson.